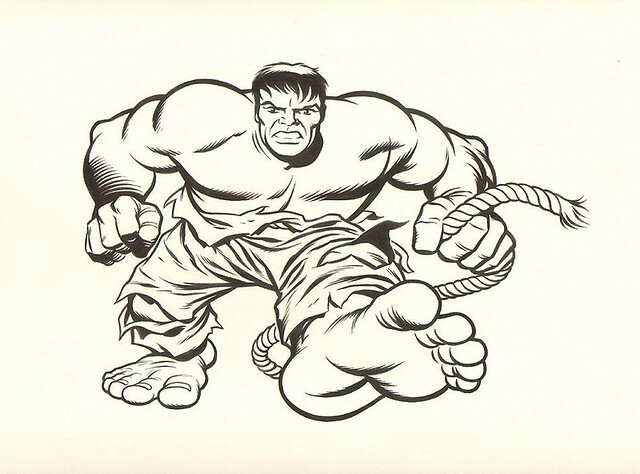 Stevens drew this illustration for a T-Shirt Design, in the same style as the original "Here Comes the Hulk" shirt from 1970. Nuff Said! I recall the T-shirt being available to Marvel UK readers in 1973. I loved the design and was rather shocked, years later, to find that the original Kirby had the rope pulling a toy rabbit. A bit too expensive for me at $4,500 but a lovely piece all the same.